I am super excited as I am doing this Giveaway with a bunch of talented nail bloggers. As you see prize is superb and worth taking part and trying your luck. Please read all the rules below and have fun !! 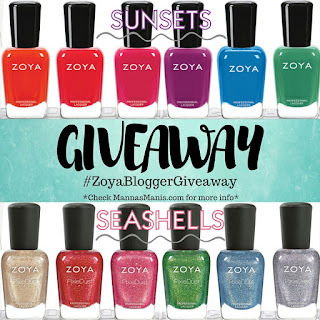 I've joined with some of my favorite bloggers to bring you this amazing Zoya giveaway! 2. No giveaway accounts, spam, or empty accounts. Winning entries will be checked and those will be disqualified. 3. You must be 18 years or older. 4. You will have 48 hours to respond to email to claim your prize. After 48 hours another winner will be chosen. Make sure you sign up with an email that you check frequently. 5. Giveaway entries are OPTIONAL. The only required entry is your email. However, the more entries you do, the more chances you have for winning. 6. 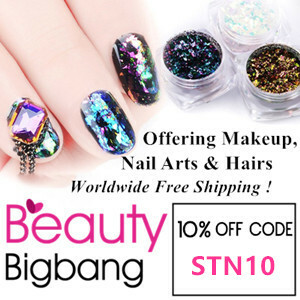 Giveaway runs from May 23rd until May 30th at 11:59 pm EST.